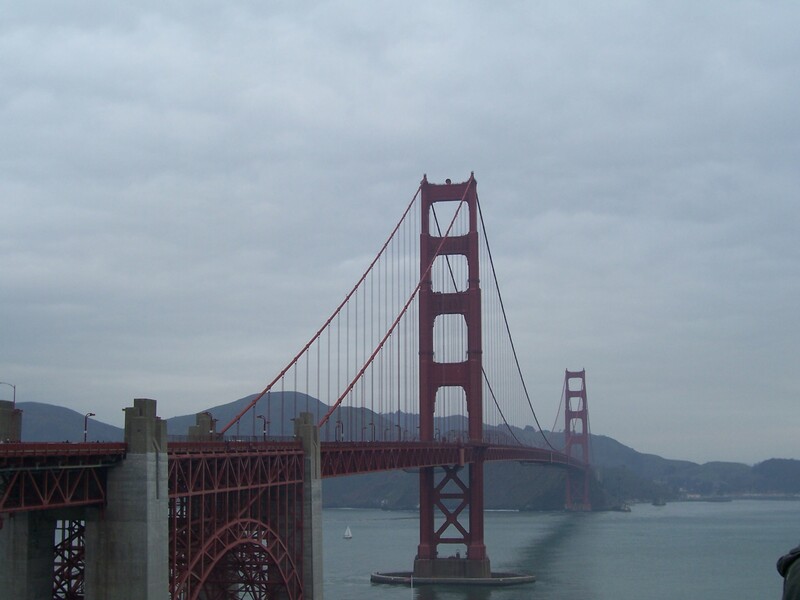 Robin over at Me and My Librarian has a great post on her experiences at the 2010 Joint Mathematics Meeting in (surprisingly sunny) San Francisco. In it she offers some interesting comparisons between librarian conferences and those of the math-geek variety. I too was at the Joint Meeting, not as a conference attendee, but as spouse and tag-along to The Professor. Since Robin beat me to writing about all the insightful stuff about the conference, I’ll share a few biased opinions cloaked as facts. Like ALA Annual Conference, the Joint Meeting was a head-ache inducing free-for-all. Job-seekers, grad students, new faculty like The Professor, and seasoned teachers and researchers all flocked to the bay for a 5-7 day extravaganza of networking, presenting, drinking, sharing research, eating, learning, and skipping out of sessions. There were sessions that were extremely relevant to those presenting and perhaps a group of others, but then largely irrelevant to vast swaths of attendees. More productive ideas were exchanged over beers or lunch than within the walls of the conference center. Sound familiar, ALA-goers? I (and The Professor) whine about the clunkiness of large conferences, but really, how can they be anything else? THE CONFERENCE is a big churning machine. It’s great for job-seekers and presenters, and it’s an excellent way for like-minded professionals to meet up when they otherwise might not have had the opportunity to do so. But for exchange of ideas, I still prefer an informal conversation. Sharing much of my disdain for large conferences, I thought The Professor could use a little pick-me-up. I told him about the Unconference held alongside the 2009 ALA Annual Conference, organized by Meredith Farkas and Michelle Boule. He was, of course, impressed and inspired, convinced that a similar event at the Joint Meeting would yield better results that standard organized sessions. What better way to learn about the things your colleagues are doing than by sitting together over snacks and coffee? Conversations may start in one area and end up on a completely different topic. Rather than being confined to a 15-minute time slot, colleagues can exchange ideas over a period of time that makes sense to them (and the ideas being exchanged). I don’t know if the Joint Meetings will see any unconferences anytime soon, but they certainly would be a welcome alternative. The topic of the conference aside, everyone needs a break. I can only take so many library conference sessions before my brain starts to turn to mush. The same is true for The Professor, and I’m sure it can also be said for any conference attendee. Take an afternoon or even a two-hour time slot and schedule some sight-seeing in the city. There’s nothing sadder than saying, “I visited San Francisco and only saw the inside of my hotel and the conference center.” Booooo. Joint Meetings = ALA Annual Conference = Any Big Conference = Good Parts + Annoying Stuff.